HEY GROOVERS : THIS EVENT IS SOLD OUT ! THIS IS A SMALLISH VENUE THAT WE WANT TO KEEP COMFORTABLE FOR EVERYONE, SO BE SURE TO BOOK EARLY! The Dish and Spoon and the Groove are throwing a little Christmas Party to get in the spirit! There will be tapas on the menu, cold bevies to wash it all down and fine tunes to dance the night away. Tickets are $15 online or $20 on the night if available. The Groove is a new fusion of old sounds emerging from the Illawarra / Shoalhaven. An amorphous shifting blend of spanish / classical and acoustic guitar vibes with driving afro percussive rhythms. From roots to Latin, blues to middle eastern and eclectic flavours in between The Groove tweak your sense of fun and familiarity. 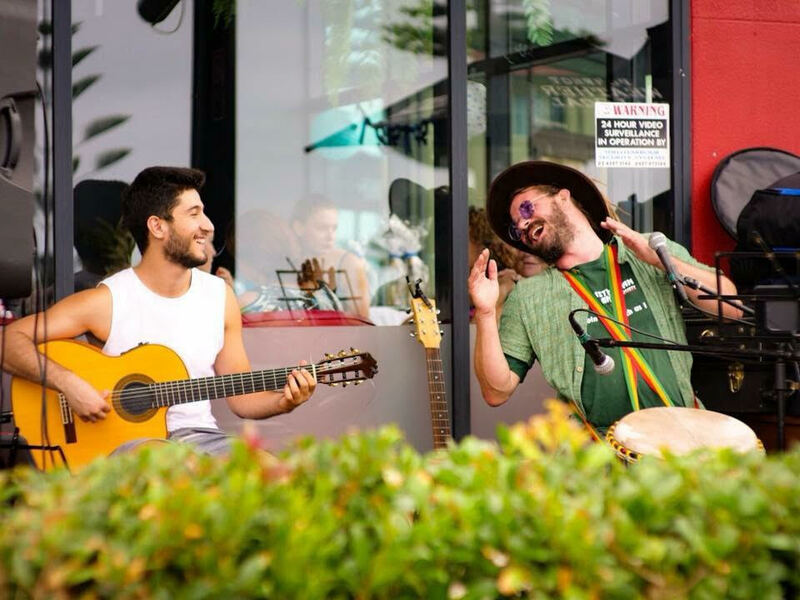 Their synergistic organic sessions have captivated audiences of all ages and cultures from the northern beaches of Sydney down to the peaks of the Snowy Mountains. The Groove have played the Peak Festival (Perisher) 2017/18, Culburra Beach Festival 2017/18 and Illawarra Folk Festival 2018, The Stomping of the Grapes Festival 2018. The Groove recently supported Caravãna Sun and Claude Hay during their easter east coast tours. The Groove have played sold out gigs at the Tea Club and shared their unique grooves in roof top bars, whiskey bars, churches (the Fairlight folk acoustic lounge, Manly) and the Fresh Flix Indy film festival in Nth Sydney.